This week we continued to enjoy the company of numerous teenage girls and boys who woke up early every morning to join us for long days of work and a true experience of archaeology. They are all excellent workers, highly praised by the excavation directors. 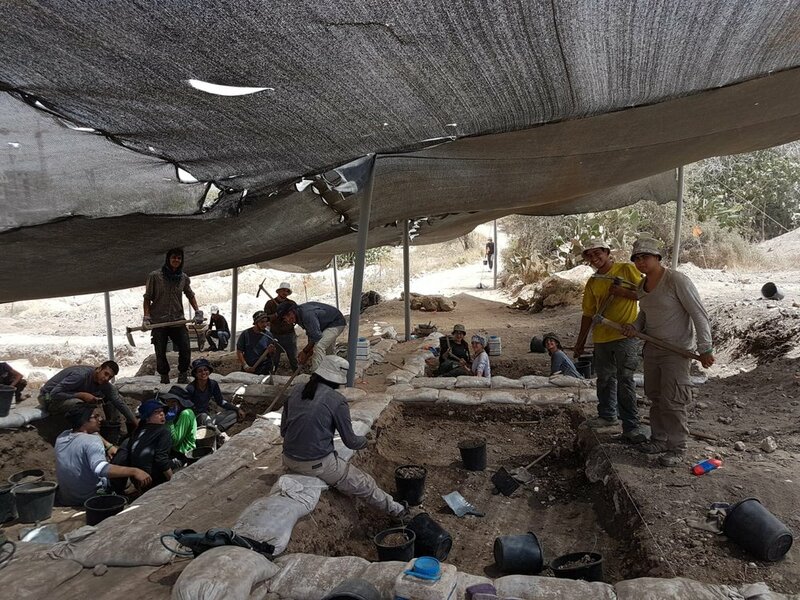 · Teenagers from Nizan, a community north of Ashqelon, and from the nearby Regional Council of Merhavim participated in the large excavation at the site of the planned Agammim Neighborhood in Ashqelon. · Youngsters from Metar, near Be’er Sheva‘,worked this week at the excavation at the site of the new Raqafot Neighborhood in Be’er Sheva‘. They unearthed a large Ottoman-period structure, a cistern and agricultural terraces. It was a hot and challenging experience, but interesting, exciting and rewarding! The kids did a wonderful job and enjoyed themselves immensely. · Teenagers from Moreshet and girls from Shekhanya, two communities belonging to the Misgav Regional Council, began to unearth the remains of an ancient agricultural hinterland—installations, quarries and filed walls—at an excavation in Yafi’a, near Nazareth. · Highschool kids from the Jordan Valley who study at Bet Yerah, joined our Conservation Unit team at the ancient site of Bet Yerah. They got to learn about the principles of conservation, work alongside our team and even earn a salary. 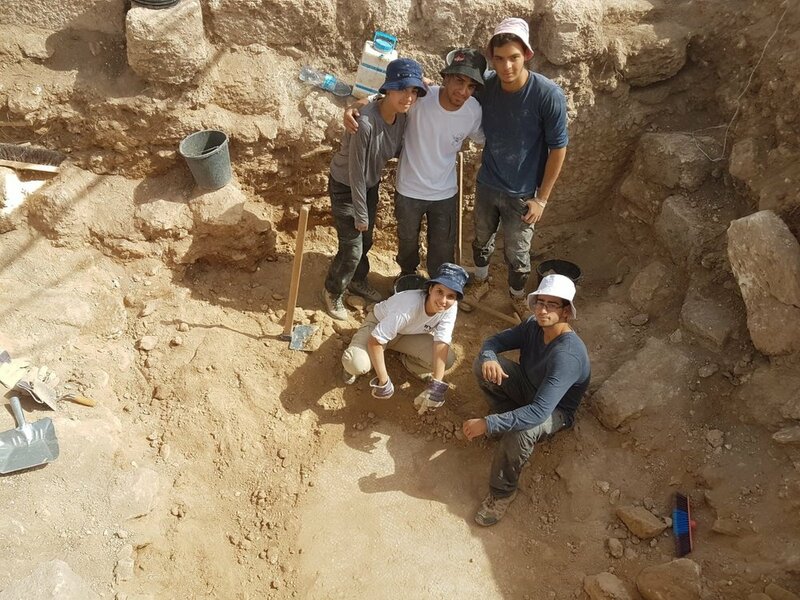 · A group of highly motivated teenagers took part in the ‘En Esur (Asawir) excavation this week. Coming from the Regional Council of Hof Ha-Karmel, as well as from Hadera and Pardes Hana—they joined us in unearthing the long history of this unique site. An inspiring spectacle could be seen this past week at several IAA excavations: 200 teenagers training to become young leaders in the Field-Nation-Society Studies Program, joined us for three days of intensive work at Tel Qishron, Moza, Ramat Bet Shemesh and 'En Asur (Asawir) as part of a 'survival week' challenge. Upon completing this task, they went on to a rafting tournament on the Kinneret (Sea of Galilee).